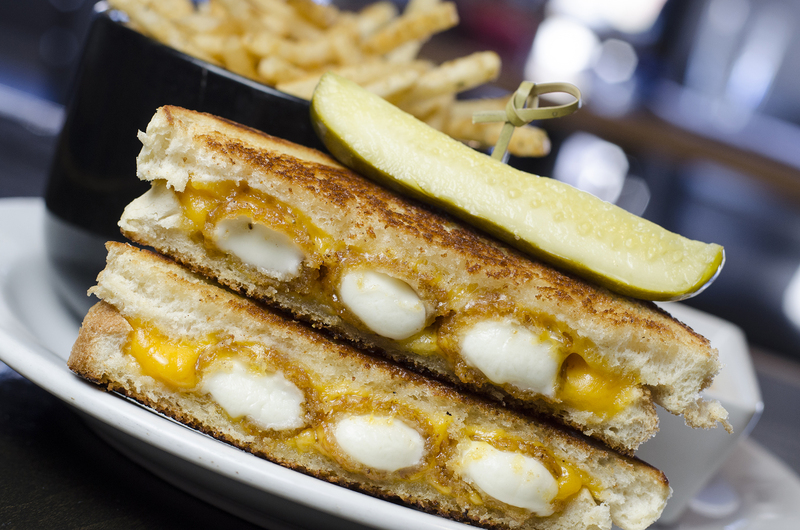 There’s almost nothing better than the perfect grilled cheese sandwich. The flow of melted cheese and the buttery flavour of the toasted bread are just too much not to love. The original grilled cheese sandwich from Toasty’s in Windsor, Ontario. The original from Toasty’s has lots of cheese. Whole bunches of it. 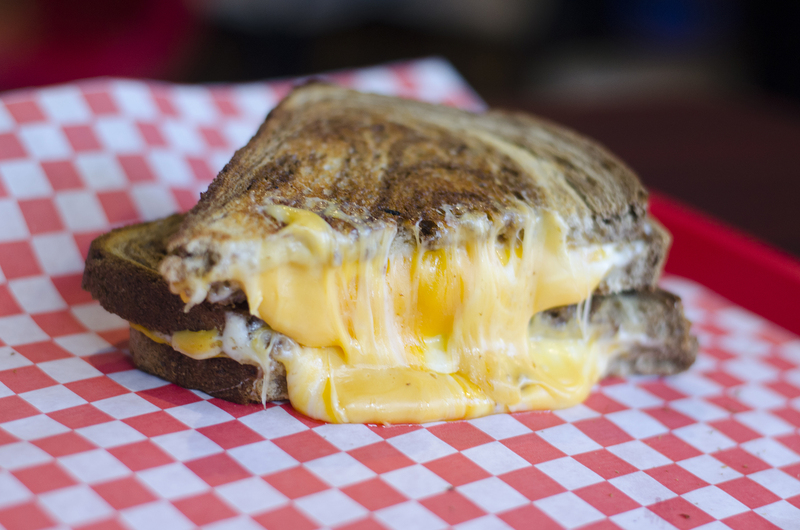 Boatloads of ooey, gooey, fantastical cheese. That’s all that needs to be said. Riverside Pie Cafe rocks a mean grilled cheese sandwich. 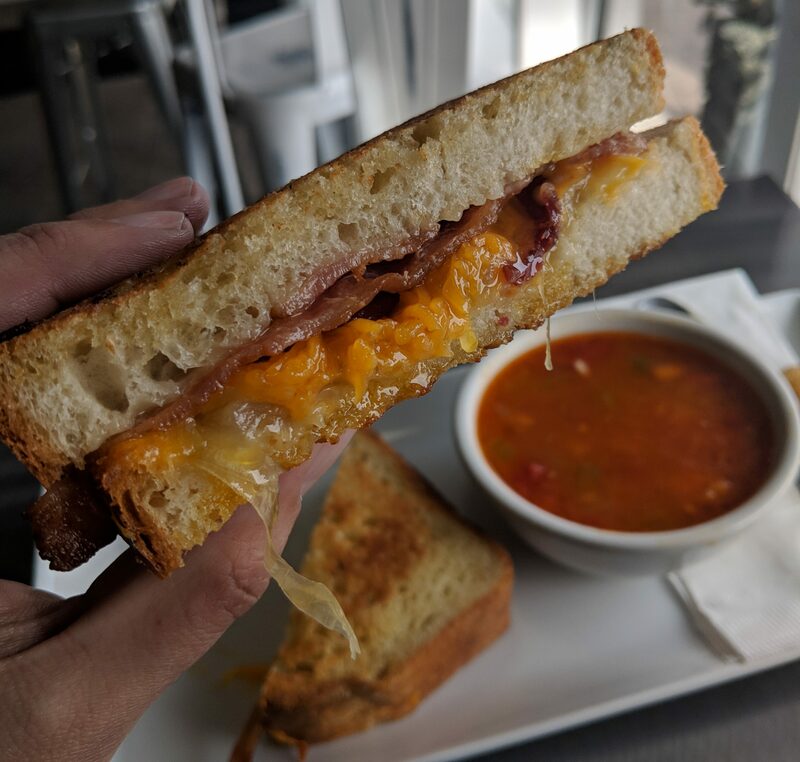 The Loaded Grilled Cheese from Riverside Pie Cafe is packed with cheddar, smoked cheddar, caramelized onions and bacon on a fresh grilled Vienna loaf. Kapow! The grilled cheese sandwich from Garfield’s in Colchester, Ontario. Garfield’s added to the cheese level of their grilled cheese sandwich by throwing in mozzarella sticks to compliment the cheese already grilled in. Heck, they even toss you some marinara sauce for dipping.